On the one hand, the news is cheering: Cancer is killing fewer children than it used to. But there’s also a grim new truth: Brain cancer has surpassed leukemia as the leading cause of cancer deaths in children ages 1 to 19. The news emerges from a new report issued by the National Center for Health Statistics, which is a division of the U.S. Centers for Disease Control and Prevention. The report’s authors suggest the declining death rate is explained by advances in cancer treatments, particularly for leukemia. During 1999–2014, the cancer death rate for children and adolescents ages 1 to 19 in the United States fell 20 percent, from 2.85 to 2.28 per 100,000 children. The cancer death rate for males ages 1 to 19 was 30 percent higher than for females in 2014. The declines in cancer death rates during 1999–2014 held true among all five-year age groups and both white and black children and adolescents. During this time, brain cancer replaced leukemia as the most common cancer-causing death among children and adolescents ages 1 to 19. It caused 3 of 10 cancer deaths among young people in 2014. “This report is a stark reminder that we must redouble our national efforts to find new and more effective treatments for the thousands of children diagnosed each year with pediatric brain tumors,” said David Arons, chief executive of the National Brain Tumor Society, in a prepared statement. Arons went on to applaud the bravery of children suffering from cancer, but said companies and groups need to do more to invest in research. The NCHS report, “Declines in Cancer Death Rates Among Children and Adolescents in the United States, 1999–2014,” is posted on the CDC website. The National Brain Tumor Society statement on the NCHS report can be found here. Providence is bringing many resources to bear on children’s health, and we operate the Providence Brain Tumor Center as part of the Providence Brain and Spine Institute. 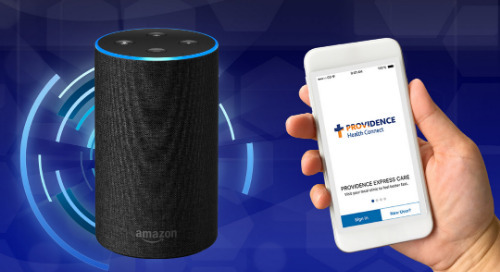 If cancer is in the life of your child and you’d like to connect with Providence providers, find a provider or a cancer center in our directory.